For most teachers and instructors, content remains a key focus. Content includes facts, ideas, principles, evidence, and descriptions of processes or procedures. A great deal of time is spent on discussing what content should be included in the curriculum, what needs to be covered in a course or a program, what content sources such as text-books students should access, and so on. Teachers and instructors often feel pressured to cover the whole curriculum in the time available. In particular, lecturing or face-to-face classes remain a prime means for organising and delivering content. Instructors in post-secondary education tend to take content for granted – this is what we teach. However, it is important, when designing teaching for a digital age, to be clear in our goals for teaching content. Why do we require students to know facts, ideas, principles, evidence, and descriptions of processes or procedures? Is learning specific content a goal in itself, or is it a means to an end? For instance, is there an intrinsic value in knowing the periodic table, or the dates of battles, or are they means to an end, such as designing experiments or understanding why French is an official language in Canada? The question is important, because in a digital age, some would argue that learning or memorising content becomes less important or even irrelevant when it is easy just to look up facts or definitions or equations. Cognitivists will argue that content needs to be framed or put in context for it to have meaning. Does content need to be learned solely to enable us to do things, such as solve problems, or make decisions, and do we need only to draw on content as and when needed, as it is now so easy to access? Probably more important than the teacher or instructor being clear on why content is being taught is for the students to understand this. One way of stating this is to ask: what value is added to the overall goals of this course or program by teaching this specific content? Do students need to memorise this content, or know where to find it, and when it is important to use it? This means of course having very clear goals for the course or program as a whole. 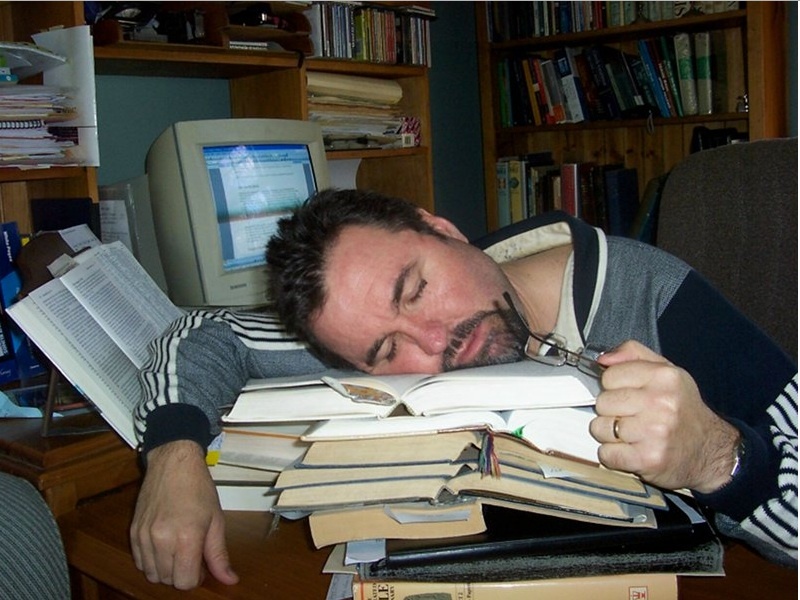 In particular, covering content quickly or overloading students with content are not effective teaching strategies, because even working harder all waking hours will not enable students in these subject domains to master all the information they need in their professions. Specialization has been a traditional way of handling the growth of knowledge, but that does not help in dealing with complex problems or issues in the real world, which often require inter-disciplinary and broader based approaches. Thus instructors need to develop strategies that enable students to cope with the massive and growing amounts of knowledge in their field. One way to handle the problem of knowledge explosion is to focus on the development of skills, such as knowledge management, problem-solving and decision-making. However, these skills are not content-free. In order to solve problems or make decisions, you need access to facts, principles, ideas, concepts and data. To manage knowledge, you need to know what content is important and why, where to find it, and how to evaluate it. In particular there may be core or basic knowledge or content that needs to be mastered for many if not most of their professional activities. One teaching skill then will be the ability to differentiate between essential and desirable areas of content, and to ensure that whatever is done to develop skills, in the process core content is covered. Traditionally, content has been structured by breaking a course into a number of topic-related classes delivered in a particular sequence, and within the classes, by instructors ‘framing’ and interpreting content. However, new technologies provide alternative means to structure content. Learning management systems such as Blackboard or Moodle enable instructors to select and sequence content material, which students can access anywhere, at any time – and in any order. 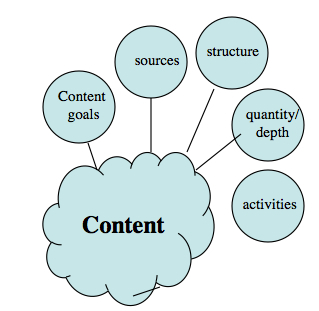 The availability of a wide range of content over the Internet, and the ability to collect and sort content through blogs, wikis, and e-portfolios, enable students increasingly to impose their own structures on content. if the aim is to help students to manage knowledge, then we may need to set tasks that require them to select, evaluate, analyse and apply content. A.4 Managing content by Anthony William (Tony) Bates is licensed under a Creative Commons Attribution-NonCommercial 4.0 International License, except where otherwise noted.